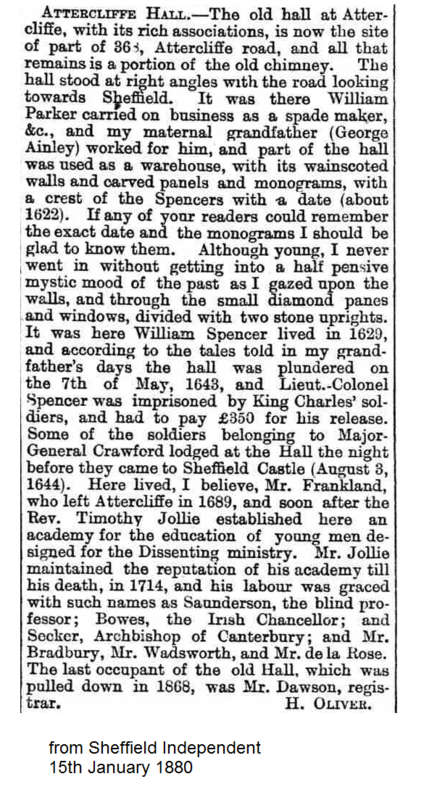 One of my ancestors ended up living in what the census described as “ part of” Attercliffe Hall. It was never a grand family so I can’t imagine it was a Hall in the traditional sense. I found some brief details about in on the internet but information is quite scarce. I know it was a dissenting chapel and working mans college. Does anyone know where it was? Thanks. Attercliffe Hall was a Methodist Mission Hall (Wesleyan originally before the various Methodist churches merged). 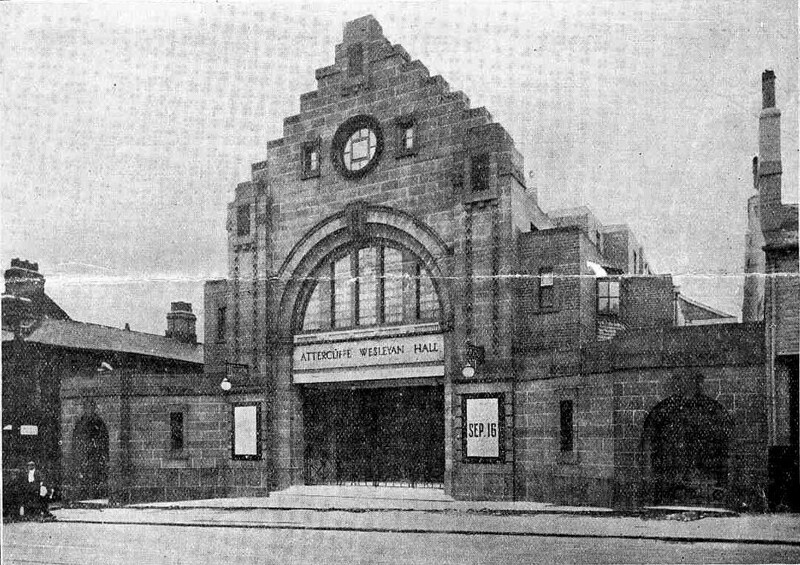 It was opened in 1926 on the east side of Attercliffe Road on the site of a former Wesleyan chapel. The attached picture is from the 1927 first anniversary services. My parents were married there in 1931 and I was baptised there in 1935. One organisation that was run from there with which my father was associated was the 'Sick and Dividing Society.' Men paid a small subscription each week and would get a grant if off work through illness, or if there was a bereavement. This lasted until the welfare state began to function after the 1945 election. Many thanks Gordon. My ancestor appeared on the census there in 1871. So before it was converted fully back to a Methodist church it must have had some residential element. I know way back it was a chapel and educational institution. Do you happen to know the full address. Your Attercliffe Hall can't be the same one, the Wesleyan Church would certainly be there in 1871, but it wasn't called 'Hall.' Ifound this picture on the Picture Sheffield site, which would seem more likely. I don't have any addresses, but you should be able to trace it if you have access to the 1871 census, nearby entries will have a street name or a number. According to the above article the original building was largely pulled down in 1868. However a building on the site was still called Attercliffe Hall. 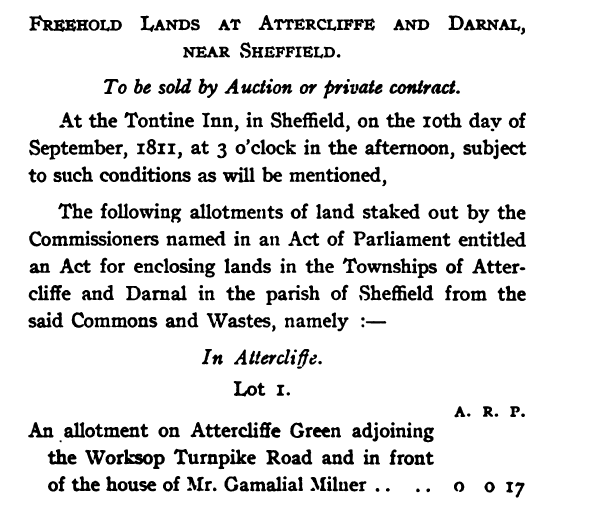 In 1878 "Attercliffe Hall" was a club for working men - with a bar - the steward was Mr Milner, presumably of the Milners who had previously resided there. In February 1879 part of the hall was advertised for rent: four low rooms, four bedrooms, W.C., stable and coach-house. Dissenting Academies were set up to provide Nonconformist youth with a good education as they were not permitted to go to universities. Richard Frankland opens such an Academy in a wing of Attercliffe Hall.